New construction - upgrades include plank tile flooring expanded throughout all main living areas, pool/spa and summer kitchen. This is the life with 2,245 square feet of roomy living space. This beautiful floor plan features 4 spacious bedrooms surrounding endless gathering venues, 2 full baths and an expansive kitchen with cozy nook. The fabulous central great room is sure to be the favorite hangout spot. The formal dining room is perfect for festive dining. The spacious 3-car garage houses toys of all kinds. 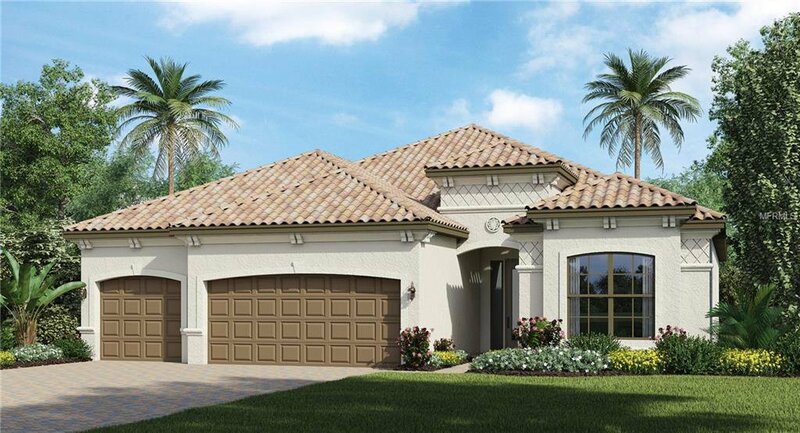 Country Club East is one of the premier residential communities in Lakewood Ranch, Florida. Residents have access to luxurious resort-style amenities at The Retreat plus two other pool and recreation centers. Memberships to Lakewood Ranch’s exclusive Country Club are available for purchase directly from the Club. Photos, renderings, and virtual tour may represent model home furniture, accessories, wall-coverings, landscaping, and options that are for display purposes only and are not included in the price of this home. Please schedule your showing today for a complete list of options and features included in this home. Listing courtesy of LENNAR REALTY INC. Selling Office: KELLER WILLIAMS REALTY SELECT.